"Once you find what you love at Miami, just go for it! It will give you a new sense of freedom. The education here provides you with great foundations and introduces you to many different kinds of fields." 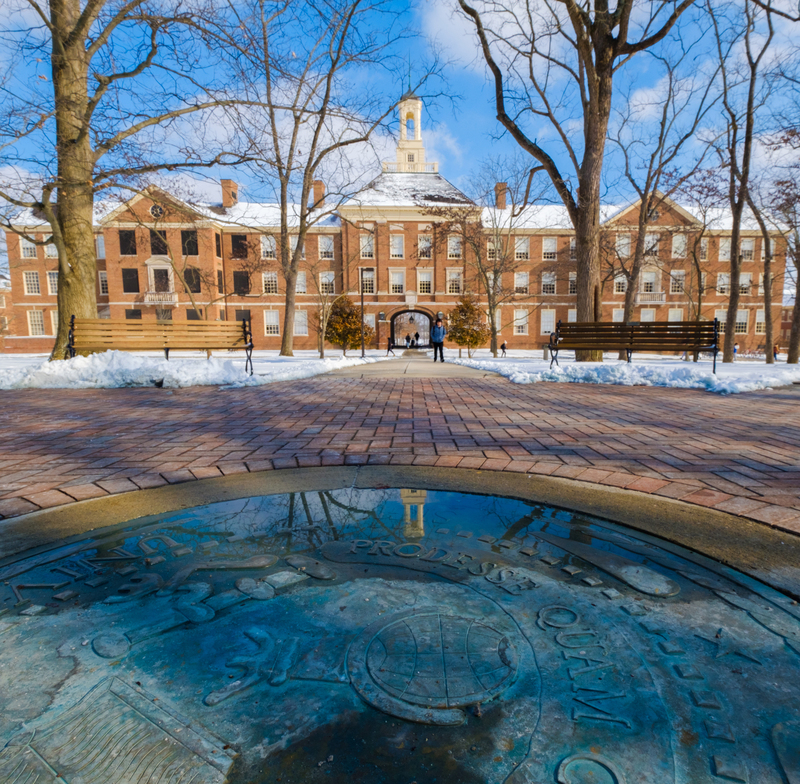 "A key experience that helped me choose Miami was the Bridges Program, which provides a special scholarship for high performing high school students who apply to Miami. My high school counselor first told me about it, and after talking to my mom I decided to just give it a try. Miami hadn't been on my register because it felt too close to home and I didn't know anyone who went here, but when I came for the Bridges Program for an overnight session at the very beginning of the fall semester, I just fell in love! "For the program we had a number of different activities and presentations by faculty members. The atmosphere felt so welcoming, and I think it was the warmth of the campus and faculty that really helped me realize I'd made the right decision to come to Miami. Amira Beasley (front row, left) poses with the rest of the Miami Forensics Team at the National Forensics Association Competition. "Being the first one within my immediate family to go to college, it was kind of hard for me to acclimate during my first semester. There were so many things I didn't know, and being around so many wealthy students sometimes made me feel a bit intimidated. However, I found a network of people on campus—they were my niche. This included Miami's forensics (speech and debate) team, which really anchored me to campus and provided me with a family that I traveled with for competitions every weekend. "I came in as a Psychology major, since I was planning on attending med school to be a psychiatrist, but ultimately I decided it wasn't for me. In the back of my mind, I was thinking of international studies. Although I'd never been abroad, I was interested in international policy, which was really important to me due to the many career possibilities. I'm also an adventurous person, and I wanted something that was flexible, so when I followed my advisor's advice and took an International Studies class, I absolutely knew that this was the field that I would like to work in!" "At Miami there are so many opportunities and support for anything that I want to do. The faculty are fantastic—there's a reason that Miami is number one for undergraduate teaching! They've always been a great help. 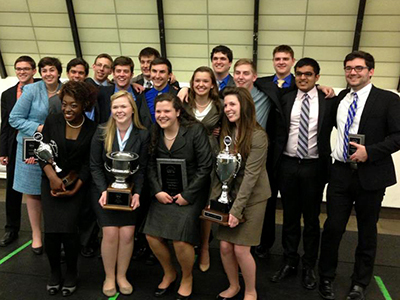 "I've really loved being a part of Miami's forensics team—it's among my favorite Miami memories. We were ranked number one in the state and eighth in the nation. It was a really great group of individuals who all worked well together as we travelled around the country for our speech and debate competitions. "Studying abroad has been another great experience, and I've been lucky to do it twice so far: first to Spain in spring of 2015, and then in Argentina in summer of 2016. Both of these trips, which were heavily immersed in speaking Spanish, have changed my life in so many different ways. "I started the Miami chapter of a student organization called Black Beyond Borders, which began at Morehouse and Spelman Colleges. We strive to create a network of black professionals that can provide students with resources they need to 'move beyond their borders with purpose,' as our mission statement says. Ours is the first chapter at a predominantly white institution, and it's exciting to be part of it! "Three of my most important faculty influences have been Jana Braziel, Melanie Ziegler, and José Amador, all from the Department of Global and Intercultural Studies. This is the department which houses both my Latin American Studies and International Studies majors. "As the chair of the department, Dr. Braziel has been a wonderful mentor for me, helping me set up the Miami chapter of Black Beyond Borders. She has also been incredibly supportive with my receiving the 2016 Adrian Gaskins Memorial Scholarship, which provides funding support for study abroad. "Without Dr. Ziegler, who's just awesome, I don't know if I would have chosen International Studies as a major. As for Dr. Amador, I took his class called Afro Latin America, and it really opened my eyes to the range and depth of the African diaspora. 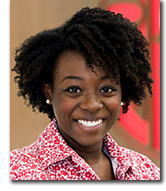 The class was so influential that I've started to pursue African diasporic communities in all the places that I visit." "The liberal arts help to make you well-rounded. I feel that the College of Arts and Science offers an even more interdisciplinary curriculum than the Global Miami Plan, which is required of all students. CAS students, as liberal arts majors, have a way of thinking that is so unique; we can take a problem and efficiently dissect it into little pieces to find the solution, and I think that makes us stand out. We're given different thinking hats, wearing our anthropology hat or our psychology hat and so on for different situations. "My two majors are Latin American Studies and International Studies, and they're both so interdisciplinary that I feel they're laying out a great foundation for me in almost any line of work I may pursue. Whether I go into government, or a nonprofit, or even the corporate world, I feel that I've been given great problem-solving skills, looking at different situations through different lenses. And my study abroad experiences have given me even better agility and adaptability for various contexts." 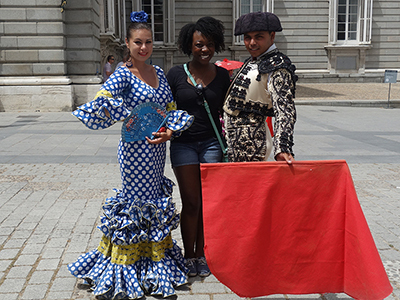 Amira Beasley poses with 2 Spanish friends in front of the Palacio Real in Madrid, Spain. "Right before I declared my Latin American Studies major in the spring of 2015, I chose to go to Spain because I really wanted to study Spanish in Europe with actual Spanish professors. The focus of the trip was Spanish language and history, which included a lot of fascinating European art history. "My trip was organized by University Studies Abroad Consortium (USAC), and we were based in Madrid. I really wanted to get to know the country intimately, so I used my free time to visit 15 different major locations—but I didn't just want to be a tourist! I also volunteered in two English classes at a vocational school and tutored 4 young Spaniards in English on the side. And all the while, all of us were focused on studying and improving our Spanish. "My second study abroad experience, to Argentina, came about in summer 2016 through the national headquarters of Black Beyond Borders. Every year, the organization takes a 2-week trip to a different country through its Global Cities Cultural Exchange Program. There were 5 students (Global Visionary Fellows) in our group, all coming from Miami, Morehouse, and Spelman. "In Argentina, we explored topics related to social justice. This included meeting with mothers who had lost children in war. We also visited sites built to commemorate the lives that were lost in the so-called Dirty War of the late 20th century, when thousands of left-wing activists were targeted by military death squads. It was a fascinating, moving, cool experience. Amira Beasley (back row, center) hangs out with some Afro Argentines in Buenos Aires, Argentina. 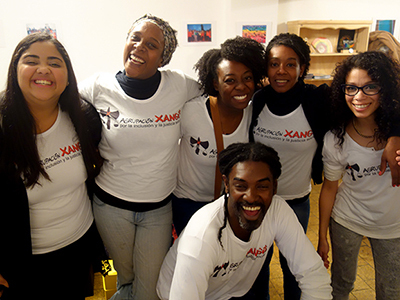 "We also met with a lot of different Afro-Argentines, speaking to them (in Spanish, of course!) about black culture in Argentina. We even got to visit the American ambassador's residence in Argentina and talk about the country's race relations. "These two amazing study abroad experiences told me that I'd definitely like to find a job with an international, social justice aspect, possibly global education. It was amazing to meet people of African descent in other countries and talk to them about their experiences. It has helped me feel more empowered to work to dispel negative stereotypes. "It feels so crazy to think how big the world is—my mom has never been out of the country! But because of my eyes being opened to the African diaspora, I feel even more encouraged to go anywhere, and that is a really exciting thought." "Find something that you really love to anchor yourself to Miami and college in general. It could be a class, a research project, a student organization, anything. Doing this will help you to not feel lost, especially soon after you get here. Stability is important. Miami may not be huge, but it can be overwhelming! "And once you find what you love at Miami, just go for it! It will give you a new sense of freedom. The education here provides you with great foundations and introduces you to many different kinds of fields. When you pick a major such as International Studies, for example, you can study numerous different concentrations within the major. "All in all, if you're like me — someone looking for freedom when thinking of careers — a liberal arts education is a great choice!"